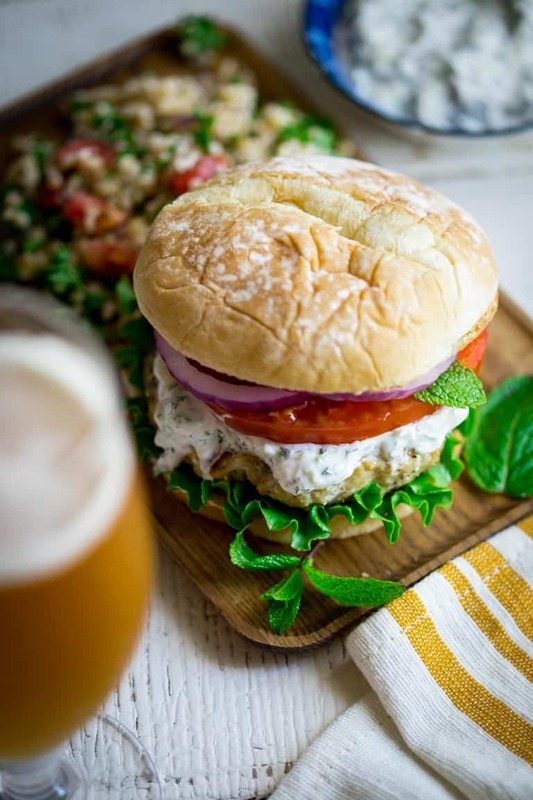 Burgers made from ground chicken, seasoned with za’atar and topped with cucumber mint tzatziki, lettuce and tomato! Get those grills fired up my friends! 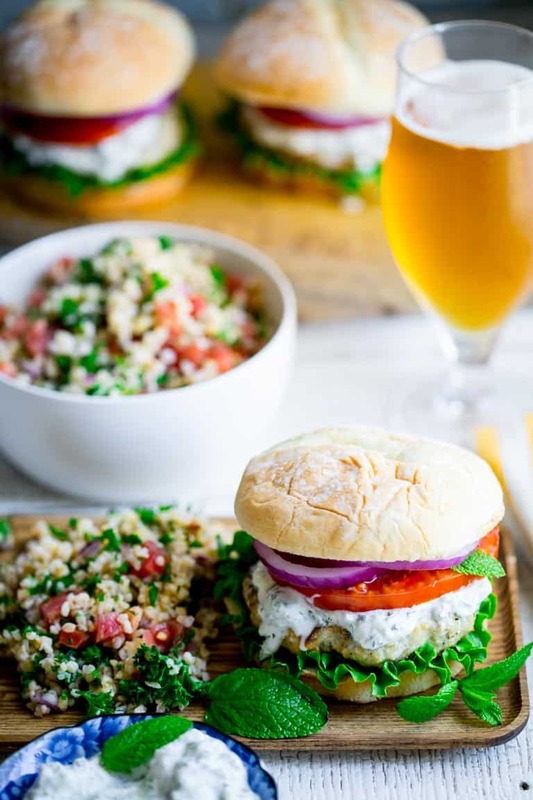 They’re a middle-eastern flavored burger mash-up you won’t want to miss. Unlike my Blueberry Lemon Quick Bread, these Za’atar Chicken Burgers were pretty much perfect from the very first time I made them. My only complaint was that there was too much tzatziki sauce. And then I was like, is it actually bad to have to much sauce?…Like ever? Is too much sauce even a thing? No, no it isn’t. One pound of meat should serve 4 people- which is a smaller portion than you may think. My advice is to make sure to pat the meat wide and thin so they fill out the buns better. Chicken is pretty tacky- not tacky like pink leopard and rhinestones- but tacky like it will stick to your hands. You can get your hands moist with a little water, and the chicken will stick a little less. 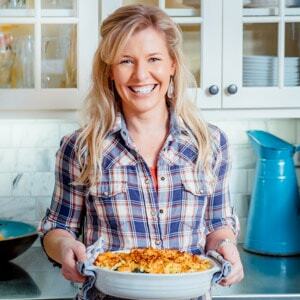 Wash your hands, the plate and spatula after handling raw chicken! I used Teeny Tiny Spice Organic Za’atar seasoning but you can use any brand you happen to find or have. They will be awesome! Foodie alert: I recently learned that Za’atar is actually an herb similar to oregano or possibly hyssop – and that the thing I had commonly known as za’atar is a spice blend. Here in the states it’s not very common to find it with the the herb known as za’atar (or hyssop.) You can buy some here. Either way, za’atar spice blend will include sumac, sesame seeds and often thyme and/or oregano and even sometimes mint. Grill the burgers until they’re cooked through, and then give them a 5 minute rest. That will help the meat relax so the juices don’t run out when you take your first bite. The Tzatziki sauce comes together really quickly. All you have to do is grate a cucumber and then set the strands into a fine mesh sieve to drain while you’re dealing with your burgers. Mix in Greek yogurt, mint and a splash of red wine vinegar for acidity. Then I load up the veggies onto the burger (this is nice since the burgers are 4 ounces. See above.) Fresh summer tomato, red onion and lettuce seal the deal! Form chicken into four patties, about 3-inches wide by ¾ inch thick. Sprinkle with ¾ teaspoon salt and pepper. Sprinkle with za’atar seasoning. Oil grill rack and add the chicken burgers. Grill until cooked through, 3 to 4 minutes per side. Grill bun if desired. Meanwhile, whisk together yogurt, garlic and vinegar and the remaining ¾ teaspoon salt. Grate cucumber with a box grater and set in a fine mesh sieve. Press on cucumber to extra excess liquid. Mix the cucumber and mint into the yogurt mixture. 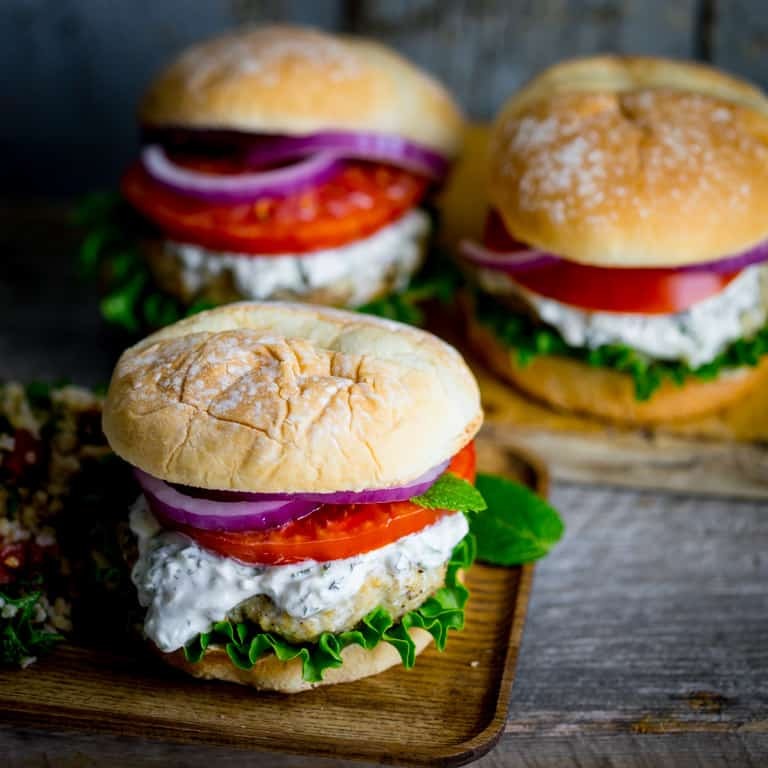 Serve the chicken burgers on the buns with lettuce, tomato, onion and the tzatziki sauce. I love zaatar so much. I think I might steal this idea and make a salmon version, since Im not a chicken fan!! But this looks insanely delicious!! such beautiful photography too! 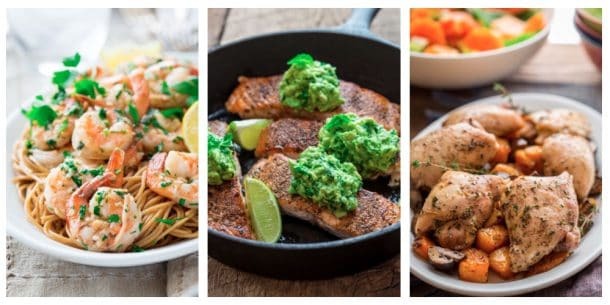 I think salmon would be so good with this flavor profile. Let me know how it comes out! The zaatar condiment is one of my favorites I have mediterranean heritage and have been used to flavor my food with this spice since childhood. Those burgers really look amazing and perfect for the summertime. That’s awesome Adriana. I am glad that someone with Mediterranean heritage approves. Yay! These burgers look amazing! I love eating chicken or turkey burgers! I definitely need to try this tzatziki sauce! My family agrees with you- chicken and turkey burgers are always a hit. 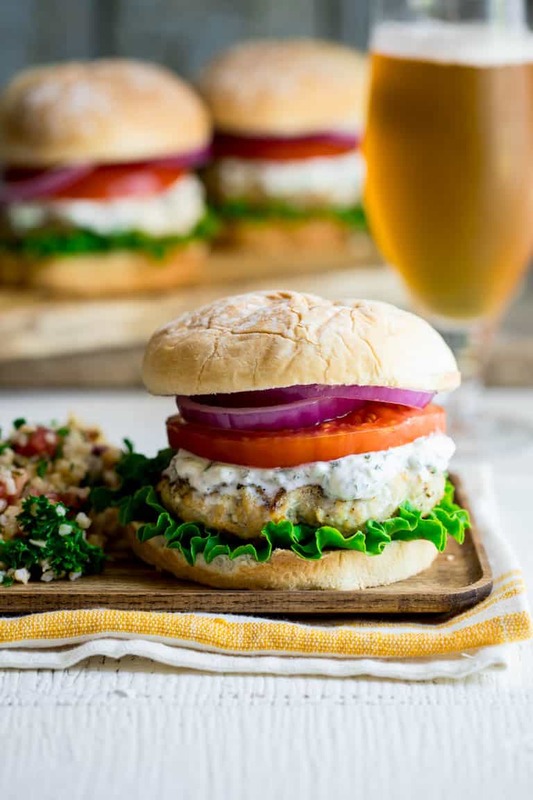 Oh my, these chicken burgers look and sound so delicious and perfect for summer BBQ hosting! Thanks so much Natalie! I am glad to hear you like the idea. These burgers have such amazing flavours! 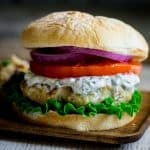 Love grilled chicken burgers and the tzatziki sounds like the perfect condiment. Thanks so much Marie- glad you like this idea! The colour of chicken and sauce look so great. i hope i can make its flavor delicious as you said. thank for your sharing.